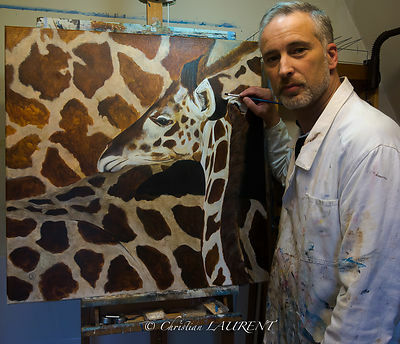 Born in Brussels in 1964 and attracted by the beautiful images since his tender childhood, Christian LAURENT combines his activities in the realization of wildlife paintings and artistic photographs while taking as common challenge to emphasize the Emotions towards the spectator… what a challenge ! About his PAINTINGS, it is in the workshop of Béatrice Vastrade (Braine Alleud - Belgium) from 2005 to 2010 that he starts to learn some painting techniques to acquire confidence. 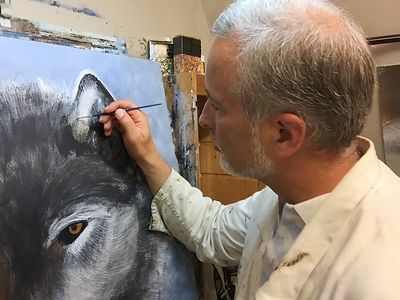 Since, he continues to develop its work as an autodidact and concentrates from now on on all the forms of wildlife paintings, sometimes very figurative, sometimes rather graphic. Its preferred technique is the acrylic painting because it enables him to seize and solidify quickly its movements while opening to him the door to many sets of matters and textures. 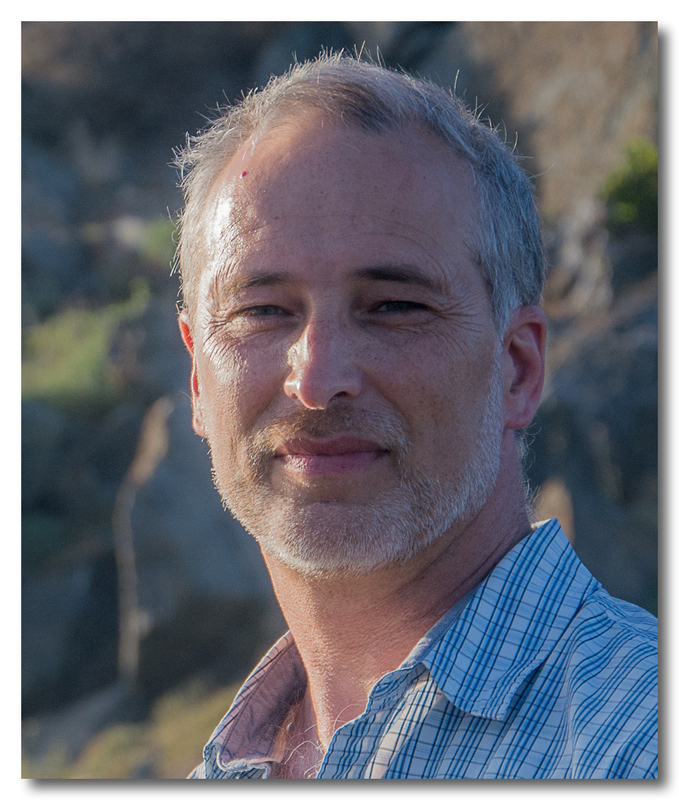 His discerning, insightful, and discrete Belgian engineer and photographer always has his Reflex on hand in his travels to every corner of the globe. 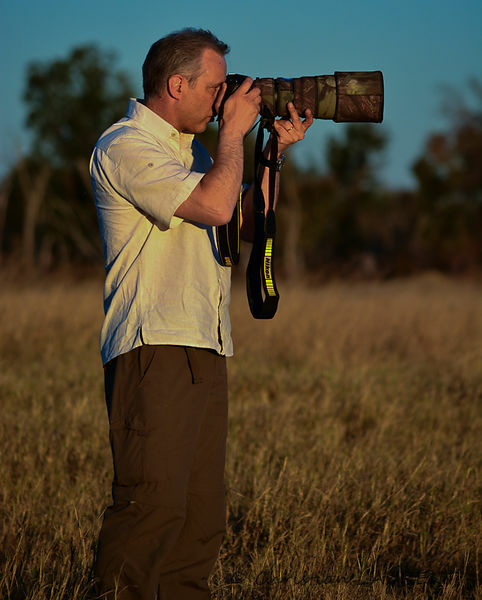 Whether he is shooting photos of the great felines in the African bush, deer in the forests of the Ardennes, birds in Costa Rica, or horses at show jumping events, his special talent for action photography captures dynamic moments full of exciting emotion. His work can be found in a large number of Belgian and international private collections, and has been shown in exhibitions in both Europe and the United States; his black and white animal studies are coloured with the strong passion and empathy he feels for the animal world.